For "Crip theory", see Disability studies. The Crips are a gang based in the coastal regions of southern California. They were founded in Los Angeles, California in 1969 mainly by Raymond Washington and Stanley Williams. Once a single alliance between two autonomous gangs, they are now a loosely connected network of individual "sets", often engaged in open warfare with one another. Its members traditionally wear blue clothing, a practice that has waned somewhat due to police crackdowns specifically targeting gang members. Historically, members have been primarily of African-American heritage. A gang is a group of associates, friends or members of a family with a defined leadership and internal organization that identifies with or claims control over territory in a community and engages, either individually or collectively, in illegal, and possibly violent, behavior. Some criminal gang members are "jumped in", or they have to prove their loyalty and right to belong by committing certain acts, usually theft or violence. A member of a gang may be called a gangster, a gang banger, or, less specifically, a thug. Southern California is a geographic and cultural region that generally comprises California's southernmost counties, and is the second most populous urban agglomeration in the United States. The region is traditionally described as eight counties, based on demographics and economic ties: Imperial, Los Angeles, Orange, Riverside, San Bernardino, San Diego, Santa Barbara, and Ventura. The more extensive 10-county definition, which includes Kern and San Luis Obispo counties, is also used and is based on historical political divisions. Raymond Lee Washington was an American gangster, known as the founder of the Crips gang in Los Angeles, California. Washington formed the Crips as a minor street gang in the late 1960s in Los Angeles' South Central area, becoming a prominent local crime boss. In 1971, Washington formed an alliance with Stanley "Tookie" Williams, establishing the Crips as the first major African-American street gang in Los Angeles, and served as one of the co-leaders. In 1974, Washington was convicted of robbery and received a five-year prison sentence, during which his leadership and influence in the Crips declined. The Crips are one of the largest and most violent associations of street gangs in the United States. With an estimated 30,000 to 35,000 members in 2008,  they have been involved in murders, robberies and drug dealing, among other crimes. The Crips have a long and bitter rivalry with the Bloods. The Bloods, also known as Original Blood Family (OBF), are a primarily African-American street gang founded in Los Angeles, California. The gang is widely known for its rivalry with the Crips. They are identified by the red color worn by their members and by particular gang symbols, including distinctive hand signs. The Black Panther Party (BPP), originally the Black Panther Party for Self-Defense, was a political organization founded by Bobby Seale and Huey Newton in October 1966 in Oakland, California. The party was active in the United States from 1966 until 1982, with chapters in numerous major cities, and international chapters operating in the United Kingdom in the early 1970s, and in Algeria from 1969 until 1972. Some sources suggest that the original name for the alliance, "Cribs", was a name narrowed down from a list of many options, and chosen unanimously from three final choices, which included the Black Overlords, and the Assassins. Cribs was chosen to reflect the young age of the majority of the gang members. The name "Cribs" evolved into the name "Crips" when gang members began carrying around canes to display their "pimp" status. People in the neighborhood then began calling them cripples, or "Crips" for short. A Los Angeles Sentinel article in February 1972 referred to some members as "Crips" (for cripples). Another source suggests "Crips" may have evolved from "Cripplers", a 1970s street gang in Watts of which Raymond Washington was a member. The name had no political, organizational, cryptic, or acronymic meaning, though some have suggested it stands for "Common Revolution In Progress", a backronym. According to the film Bastards of the Party directed by a member of the Bloods, the name represented "Community Revolutionary Interparty Service" or "Community Reform Interparty Service". Williams, in his memoir, further refuted claims that the group was a spin-off of the Black Panther Party or formed for a community agenda, the name "depicted a fighting alliance against street gangs—nothing more, nothing less." Washington, who attended Fremont High School, was the leader of the East Side Crips, and Williams, who attended Washington High School, led the West Side Crips. A backronym, or bacronym, is a constructed phrase that purports to be the source of a word that is an acronym. Backronyms may be invented with either serious or humorous intent, or they may be a type of false etymology or folk etymology. Bastards of the Party is a 2005 documentary film produced by Alex Demyanenko and directed by former Bloods gang-member Cle Sloan. The film explores the creation of two of Los Angeles’s most notorious gangs, the Crips and the Bloods, from the perspective of the Los Angeles community. The film also denounces gang violence and presents meaningful solutions from former gang-members to stop this problem. 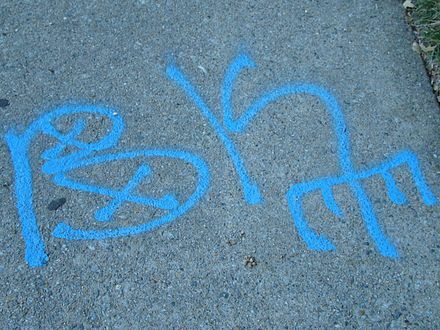 The Crips became popular throughout southern Los Angeles as more youth gangs joined; at one point they outnumbered non-Crip gangs by 3 to 1, sparking disputes with non-Crip gangs, including the L.A. Brims, Athens Park Boys, the Bishops, The Drill Company, and the Denver Lanes. By 1971 the gang's notoriety had spread across Los Angeles. By 1971, a gang on Piru Street in Compton, California, known as the Piru Street Boys, was formed and associated themselves with the Crips as a set. After two years of peace, a feud began between the Piru Street Boys and the other Crip sets. It would later turn violent as gang warfare ensued between former allies. This battle continued and by 1973, the Piru Street Boys wanted to end the violence and called a meeting with other gangs that were targeted by the Crips. After a long discussion, the Pirus broke all connections to the Crips and started an organization that would later be called the Bloods,  a street gang infamous for its rivalry with the Crips. Since then, other conflicts and feuds were started between many of the remaining sets of the Crips gang. It is a popular misconception that Crips sets feud only with Bloods. In reality, they fight each other—for example, the Rolling 60s Neighborhood Crips and 83 Gangster Crips have been rivals since 1979. In Watts, Los Angeles, the Grape Street Crips and the PJ Watts Crips have feuded so much that the PJ Watts Crips even teamed up with a local Blood set, the Bounty Hunter Bloods, to fight against the Grape Street Crips. In the mid 1990s, the Hoover Crips rivalries and wars with other Crip gangs caused them to become independent and to refrain from using the Crip name, calling themselves the Hoover Criminals instead of Hoover Crips. 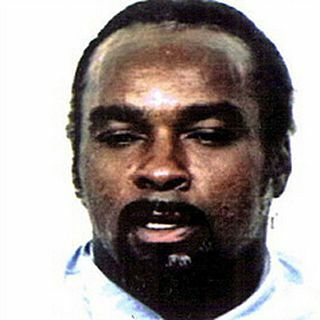 Stanley "Tookie" Williams III was an American gangster, known as one of the original founders and leaders of the Crips gang in Los Angeles, California. In 1971, Williams and Raymond Washington formed an alliance establishing the Crips as the first major African-American street gang in South Central Los Angeles. Williams became the de facto leader and the prominent crime boss in South Central in the 1970s. In 1979, Williams was convicted for the murder of four people during two robberies, and was sentenced to death. The highly publicized trial of Williams and extensive appeals for clemency sparked debate on the status of the death penalty in California. The Gangster Disciples are a criminal street gang which was formed in the Southside of Chicago in the late 1960s, by Larry Hoover, leader of the Supreme Gangsters, and David Barksdale, leader of the Black Disciples. The two groups united to form the Black Gangster Disciple Nation (BGDN). The 6-point star stands for Love, Life, Loyalty, Knowledge, Wisdom, Understanding. In Chicago, the Gangster Disciples have a long and bitter rivalry with the Black Disciples. Since their creation, the Gangster Disciples have branched out throughout the United States. Redemption: The Stan Tookie Williams Story is a 2004 television film starring Jamie Foxx and Lynn Whitfield. The film was directed by Vondie Curtis-Hall. Other cast members in the film include Lee Thompson Young and CCH Pounder. The Damu Ridas were an assortment of Bloods gang members from South Central Los Angeles who recorded the Bloods & Crips collaboration albums Bangin' on Wax and Bangin' on Wax 2... The Saga Continues. The Bloods members formed the Damu Ridas, and the Crip members formed Nationwide Rip Ridaz. Black P. Stones Jungles is a division of the Bloods street gang in some parts of Los Angeles. American Gangster is a documentary television series, which airs on BET. The show features some of black America's most infamous and powerful gangsters and is narrated by Ving Rhames. The series premiere, on November 28, 2006, amassed around one million viewers. The first season ended on January 9, 2007, and comprised 6 episodes; a season 1 DVD was released on October 23, 2007. The second season aired October 3, 2007; a season 2 DVD was released on June 10, 2008. In April 2009, A&E Networks purchased the rights to air seasons 1–3 on their networks. They can be seen primarily on the Bio Channel and the flagship A&E Channel. They can also be seen on A&E's Crime and Investigation Network. The Piru's, also known as Piru Street Family and Piru Gangsters (PG), are a Los Angeles street gang alliance based in Compton, and also present in the cities of Carson, Sacramento, Hawthorne, San Diego, Fresno, Santa Barbara and Watts. Piru sets make up most of the original Blood Alliance in Los Angeles. The main colors of Pirus are red and burgundy. Sanyika Shakur, also known by his former street moniker Monster, is a former member of the Los Angeles gang the Eight Tray Gangster Crips.He got his nickname as a 13-year-old gang member when he beat and stomped a robbery victim until he was disfigured. Shakur claimed to have reformed in prison, joined the Republic of New Afrika movement, and wrote a 1993 memoir called Monster: The Autobiography of an L.A. Gang Member. Bloods & Crips was a gangsta rap group from Los Angeles County mostly known for their record selling song [Piru Love]. Venice Shoreline Crips, or known as VSC, is a Crips-based gang based out of Venice, Los Angeles, California. Barriox13, B13 in short, is a street gang in South Los Angeles consisting of over 500 members, many of which are active. It is divided into West Side Barriox13 and East Side Barriox13 gang with all members loyal to the Barriox13 gang. It was established in the early 1980s near El Segundo Boulevard and Main St in South Los Angeles, California. The Original group of Barriox13 gang members began the gang for self-protection. It is a South Side (Sureno) gang loyal to the Mexican Mafia prison gang. The US state of Georgia has seen a rise in the number of gangs over recent years, in the main focused on the illegal drug trade. Crips and Bloods: Made in America is a documentary by Stacy Peralta that examines the rise of the Crips and Bloods, prominent gangs in America. The documentary focuses on the external factors that caused African-American youth to turn to gangs and questions the political and law enforcement response to the rise of gang culture. The Grape Street Watts Crips is an African-American Crips subset based in the Watts neighborhood of Los Angeles. They're known for being the first original Crip set in Watts. The majority of the gang's members were located in the Jordan Downs Housing Project, and they were named after a north-south street in Watts near 103rd street.. The gang's rivalry with the Bounty Hunter Bloods has been described as being "the most violent and long lasting feud between two gangs that are in the Watts area." 1 2 3 4 5 6 7 8 U.S. Department of Justice, Crips. 1 2 "Appendix B. National-Level Street, Prison, and Outlaw Motorcycle Gang Profiles - Attorney General's Report to Congress on the Growth of Violent Street Gangs in Suburban Areas (UNCLASSIFIED)". www.justice.gov. Retrieved 21 March 2017. 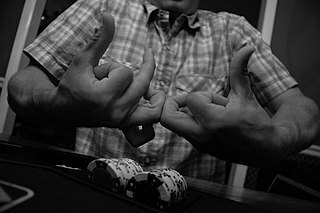 1 2 "Los Angeles-based Gangs — Bloods and Crips". Florida Department of Corrections. Archived from the original on 2002-10-27. Retrieved 2009-06-21. ↑ "Crips". Gang Prevention Services. Archived from the original on 2009-05-12. Retrieved 2009-06-21. ↑ "Black Gangster Disciples". Gang Prevention Services. Archived from the original on 2011-02-05. Retrieved 2009-06-21. ↑ "Major Prison Gangs(continued)". Gangs and Security Threat Group Awareness. Florida Department of Corrections. Archived from the original on 2010-03-12. Retrieved 2009-06-21. ↑ "Juggalos: Emerging Gang Trends and Criminal Activity Intelligence Report" (PDF). Info.publicintelligence.net. 15 February 2011. Retrieved 11 December 2017. 1 2 3 4 Williams, Stanley Tookie; Smiley, Tavis (2007). Blue Rage, Black Redemption. Simon & Schuster. pp. xvii–xix, 91–92, 136. ISBN 1-4165-4449-6. ↑ Stacy Peralta (Director), Stacy Peralta & Sam George (writers), Baron Davis et al. (producer), Steve Luczo, Quincy "QD3" Jones III (executive producer) (2009). Crips and Bloods: Made in America (TV-Documentary). PBS Independent Lens series. Retrieved 2009-05-15. ↑ "Timeline: South Central Los Angeles". PBS (part of the "Crips and Bloods: Made in America" TV documentary). April 21, 2009. Retrieved May 15, 2009. ↑ Sharkey, Betsy (2009-02-06). "Review: 'Crips and Bloods: Made in America'". Los Angeles Times. Retrieved May 16, 2009. ↑ Cle Sloan (Director), Antoine Fuqua and Cle Sloan (producer), Jack Gulick (executive producer) (2009). Keith Salmon, ed. Bastards of the Party (TV-Documentary). HBO. Retrieved May 15, 2009. ↑ "Black Los Angeles". google.co.in. ↑ "Los Angeles". Inside. National Geographic Channel. Archived from the original on August 4, 2009. Retrieved June 21, 2009. ↑ Dunn, William (2008). Boot: An LAPD Officer's Rookie Year in South Central Los Angeles. iUniverse. p. 76. ↑ Covey, Herbert. Crips and Bloods: A Guide to an American Subculture: A Guide to an American Subculture. p. 9. ↑ "Gangs Increasing in Military, FBI Says". Military.com. McClatchy-Tribune Information Services. 2008-06-30. Retrieved 2009-06-21. ↑ Capozzoli, Thomas and McVey, R. Steve (1999). Kids Killing Kids: Managing Violence and Gangs in Schools. St. Lucie Press, Boca Raton, Florida, p. 72. ISBN 1-57444-283-X. ↑ "War and Peace in Watts" Archived 2007-04-16 at the Wayback Machine (2005-07-14). LA Weekly . Retrieved 2007-05-04. ↑ Smith, Debra; Whitmore, Kathryn F. (2006). Literacy and Advocacy in Adolescent Family, Gang, School, and Juvenile Court Communities. Lawrence Erlbaum Associates. ISBN 0-8058-5599-8. ↑ Simpson, Colton (2005). Inside the Crips: Life Inside L.A.'s Most Notorious Gang. St. Martin's Press. p. 280. ISBN 978-0-312-32930-3. ↑ Simpson, Colton (2005). Inside the Crips: Life Inside L.A.'s Most Notorious Gang. St. Martin's Press. pp. 122–124. ISBN 978-0-312-32930-3. National Drug Intelligence Center (2002). Drugs and Crime: Gang Profile: Crips (PDF). U.S. Department of Justice. Retrieved 2009-06-21. Product no. 2002-M0465-001. Smith, Debra; Whitmore, Kathryn F. (2006). Literacy and Advocacy in Adolescent Family, Gang, School, and Juvenile Court Communities. Lawrence Erlbaum Associates. ISBN 0-8058-5599-8. 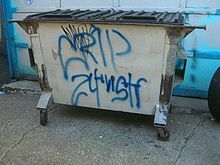 Wikimedia Commons has media related to Crips .